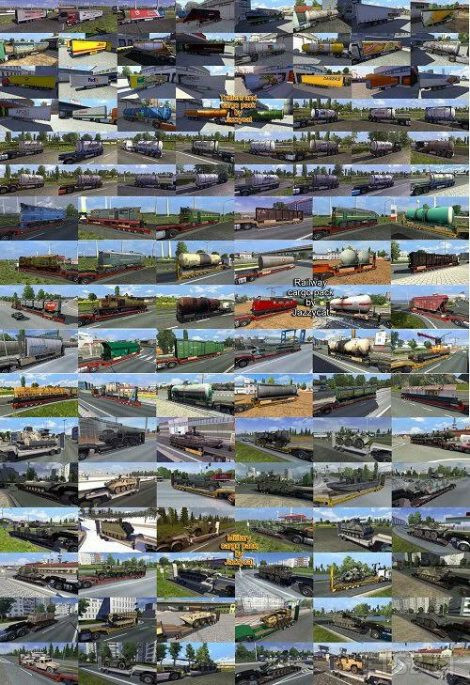 Also in the archive there is a similar add-ons for packs trailers with military cargo pack v.1.7.1 and railway cargo pack v1.7.2. This additions increased the mass nearly 100 cargoes. P. S. In the process of change in mass intensively used information from the Internet and the formula from school physics course – Mass = Volume x Density, and in some cases used fantasy:). I tried again with older version (military 1.7, railway 1.7.1 and cargo&trailers 3.8 + addon for ets2 1.23x ) it still work fine. I load my old save all drivers still ” on duty “.